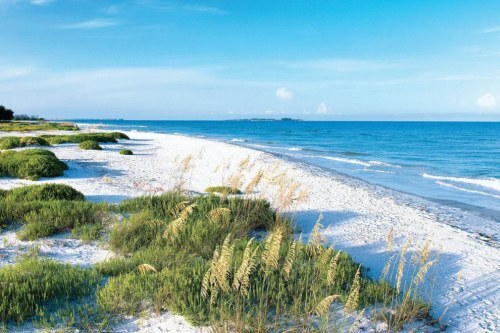 WestJet has dropped the price of some non-stop flights in November 2018 from Ottawa to Tampa Bay, Florida down to $231 CAD roundtrip including taxes. Dec 7, 9 to Dec 14, 16, 21 -- new! Dec 14 to Dec 16, 21, 23, 28 -- new! Jan 27 to Feb 3 -- new! Apr 7 to Apr 12 -- new! 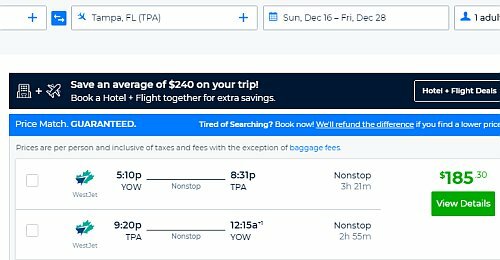 Update 6/2 - Some more December 2018 and winter 2019 flights from Ottawa to Tampa Bay, Florida have become available for $243 CAD roundtrip, including some dates over Christmas.